There’s a little golf tournament taking place this week called The Masters. I am pretty hyped for this tournament just from a viewing perspective. It really feels like one of those tournaments where we’re going to witness something special. From a betting perspective? It’s a very tough one. You can make the cases for so many people and theoretically it’s going to be a war on the final day. So many people coming in on form. So many players with just the overall quality. So many that perform well at the Majors and then so many that of course perform well at Augusta. I’ll be placing all my bets at Bet365 who are currently offering e/w odds up to the top 8. So that will be a factor in my picks. Sorry for the lateness in these but as mentioned last week, I was away on vacation for Wrestlemania and got back late last night. Been working on this all day today. Rory McIlroy to win: 13/2 odds. With such an insane lineup, when I would chat to people in the weeks prior about this tournament the one thing I’d say is “I don’t think I can bet Rory at those odds” but here we are. Of the top tier golfers in this tournament, there’s no-one playing with more consistency. The last 5 Masters we’ve seen him get Top 10 finishes. It’s been awhile since he won a major. The way I see it is between the two top favourites – Rory and DJ – I lean on Rory more. If he doesn’t work out then the odds on the rest of the crew are good enough. 1u to win. FYI my confidence level isn’t what dictates the 1u play this week – it’s more the fact that it’s the Masters and I’m just saying “screw it” and going with it. True confidence level based on the odds would be a 1/2u play. Justin Rose to win & E/W: 14/1. Incredibly consistent performer when it comes to the Masters and is playing fairly solid at the moment. Has the Majors experience and there’s a reason he is the third favourite. This is where those top 8 e/w odds become a factor in the bet size. 1u to win & E/W. Paul Casey: 25/1. I don’t think Paul can win. I really really don’t. But he is in form like crazy, has some sensational performances here and is well worth a play. 1/2u to win & E/W. Matt Kuchar: 40/1. In terms of all the golfers playing, Kuchar is probably the best value pick of the weekend. 1/2u to win & E/W. Hey we all enjoy those 66/1 and 100/1 bets right. While they don’t come in too often (although I’ve managed to get quite a few!) they can be fun to place and with 8 spots, are worth doing. All of these are 1/4u to win & E/W. I’d normally just do 1/8u for these but screw it it’s the Masters. I’d probably advise if you want to play smart, to only do 1/8u. 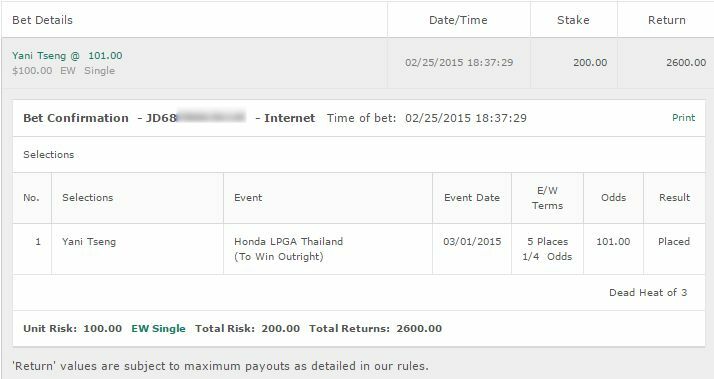 Patrick Cantlay 66/1: Went back and forth on Cantlay and he was going to be part of the main tips. I was so close to taking him at 66/1 odds and I do think it’s an +EV play but I can’t bring myself to advise it as part of those. When you run the metrics for this course he’s generally in the top 10 depending on what you believe will be a factor here. The issue is he isn’t coming on the back of good form and last year when he was coming in with solid form he missed the cut. He also doesn’t have the Majors record to really blow you away. Despite that it is very tempting and I’ll really be kicking myself if I don’t back him. Worth the long shot bet. Charley Hoffman: 90/1. Has the ability to make that cut and when he does that – it’s anyones game. Coming in hot. Cameron Smith: 80/1. Hard to ignore that 5th place he had last year here. What a performance. Not coming in on the best form but he has performed well this year in some tournaments and the price makes it worth a small bet. Tommy Fleetwood: 26/1. Not a long shot on terms of odds, but I think it’s one of those ones that really feel like a long shot. 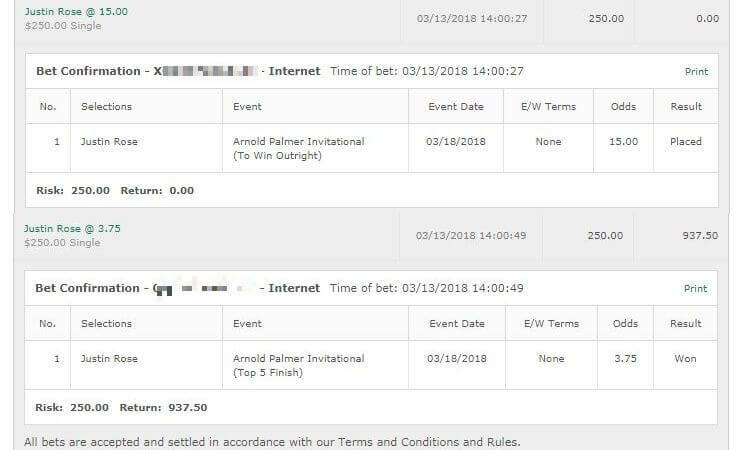 The guy is a brilliant golfer and if he won I don’t think you’d be too shocked – but it also feels like a long shot bet ya know? Rickie Fowler: With the wind, it could work out for Rickie. There’s going to be one tournament where it all comes together for him and he wins it. Is this the tournament? It could be. 16/1 odds just doesn’t cut it for me though on that type of gamble. Not even for an E/W place. 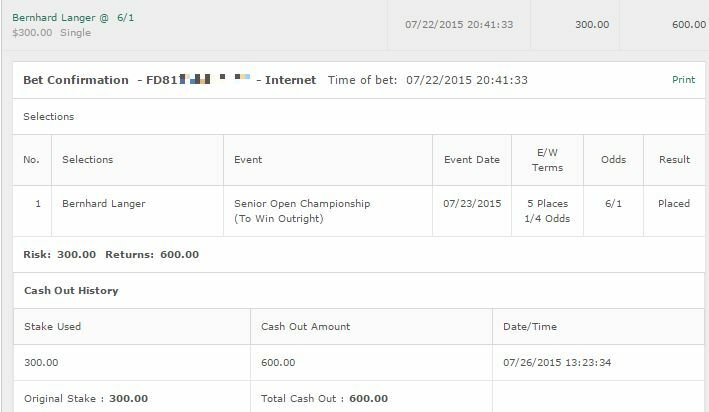 Jon Rahm: Would be an easy bet if his odds were better. He just doesn’t cut the mustard for me this go around at that price. Tiger Woods: Just can’t advise it. In saying that – throw something on him to win & E/W. In the off chance Tiger does get rolling you want to be right in the thick of it. I’m throwing 1/8u to win & E/W. Hideki Matsuyama: Here’s the deal with Hideki – if you bet him and he wins I think you should feel like a real boss. It’s one of those dark horse but solid picks. The thing for me is the odds aren’t excellent considering the players, and I’ve never had good luck betting Hideki. His putting will be a handicap on him as well.